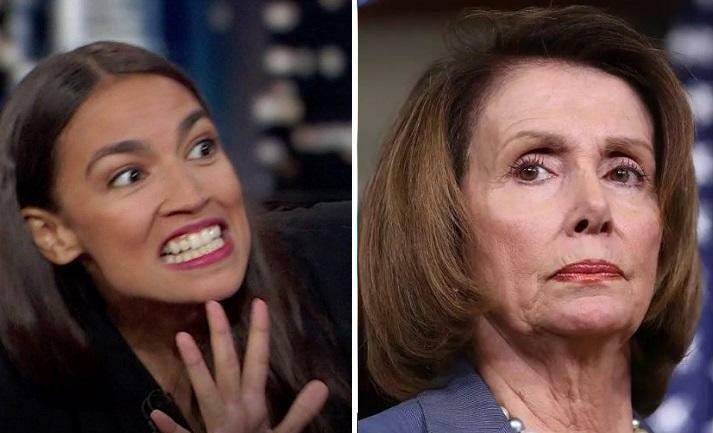 Pelosi Slams AOC's Progressive Posse In Congress: "It's Like Five People"
House Speaker Nancy Pelosi seems to be having a hard time accepting Rep. Alexandria Ocasio-Cortez being the "new face" of the Democratic party. Stahl: "You are contending with a group in Congress. Over here on the left flank are these self-described socialists. On the right these moderates. You yourself said that you're the only one who can unify everybody. And the questions is - can you? Pelosi interjects: "well that's like five people." The Congressional Progressive Caucus has 98 members, making it the second largest group in Congress, according to the New NY Post, which notes that AOC is one of the group's most prominent freshmen members. "While there are people who have a large number of Twitter followers, what’s important is that we have a large number of votes on the floor of the House," said Pelosi. What's not to love Nancy?